Thatte Idli is one of the famous Breakfast dish from Karnataka. Surprisingly, we find very few hotels in Bangalore which serves this form of Idli. It's entirely different from the regular idli's which we make out of idli rava. 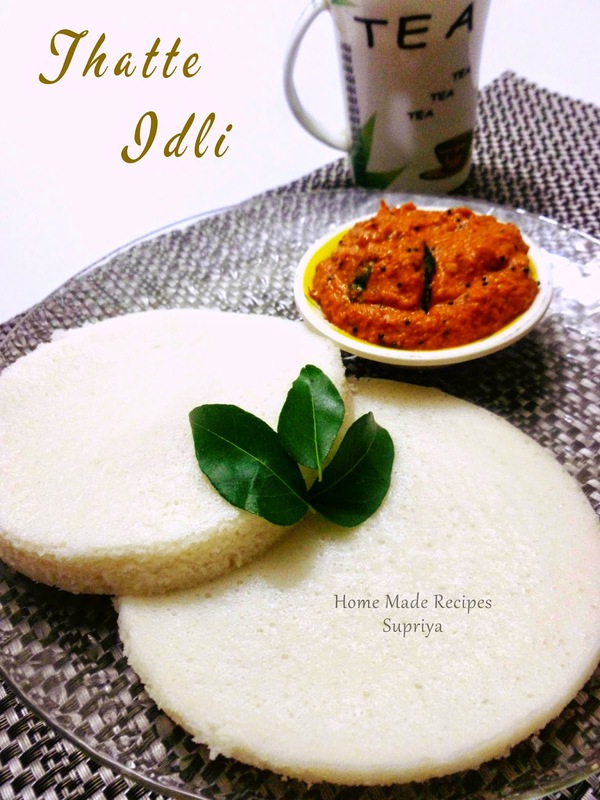 I have already posted the simple and basic method of make soft idli's with Idli Rava. If you wanna try it, click here. 1. Wash and Soak all the ingredients mentioned above except Salt, soda and ghee for atleast 4 hours. 2. Blend these in a mixer one by one to get a smooth thick batter. 3. Transfer it into a wide bowl and allow it to ferment overnight. 4. Next day, just before preparing idli, add salt and baking soda to the batter and mix well. 5. Grease the idli plates/ thatte's with ghee and pour in the idli batter to about 1/2 inch in the plate and place it in and idli steamer. Steam for about 10- 15 mins. Once done, remove it from the idli steamer and allow it to stand for 2 mins. Run the knife around the edges and flip the mould on a serving plate. 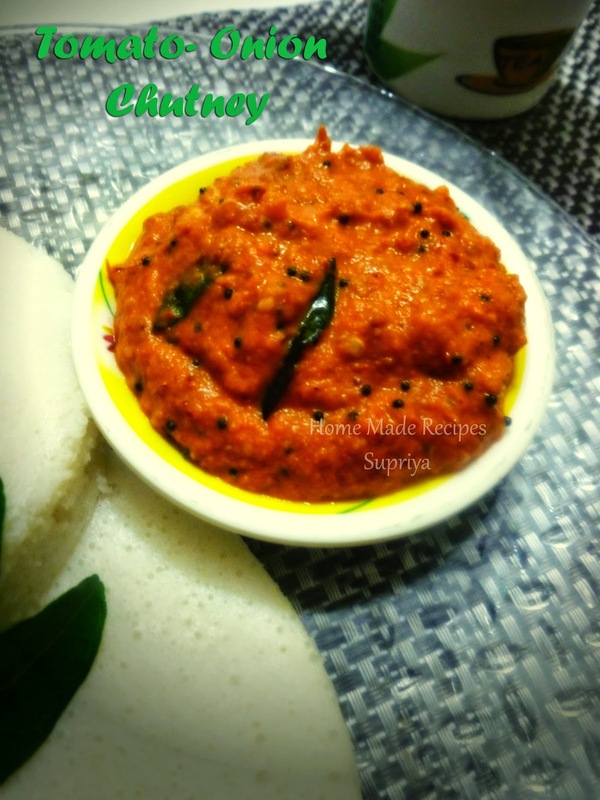 Serve hot with sagu, sambar or with the hot and tangy Tomato- Onion Chutney.